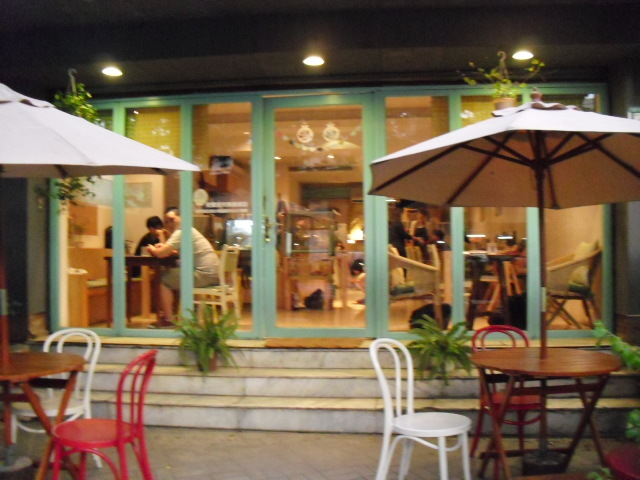 I had walked by this cafe many times before when I lived here a few years ago, but never thought of it as a cat cafe. I used to walk by it on my way to the public library (just a few hundred meters further down Jianguo South Road) and pet the huge cat that always sat in front of it. 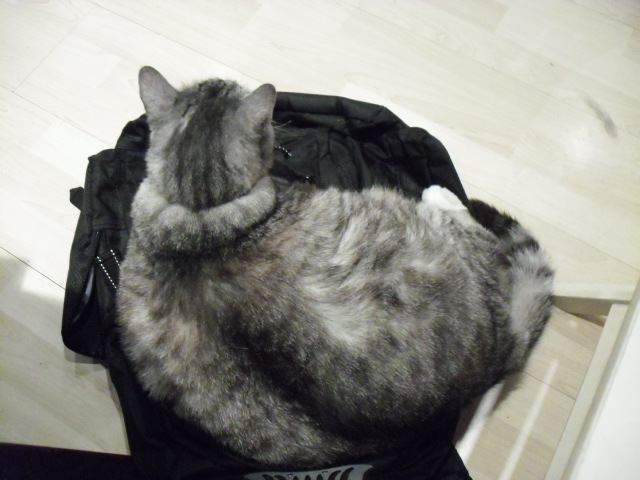 He was sitting in his usual spot outside on the day I went to the cafe, but he followed me in and curled up on my backpack. Even though this cafe only has one cat, he’s very sweet and worth visiting. From the pictures in the book, he doesn’t look that fat, so I didn’t recognize that it was the same cat I’d seen before. 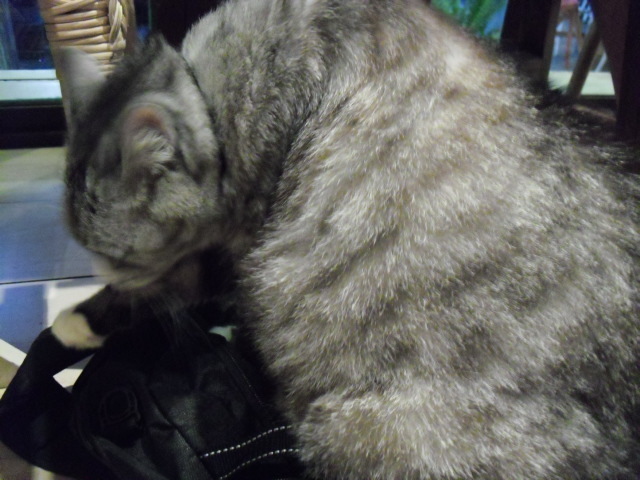 My pictures don’t adequately show his size either, but he must weigh about 20 pounds (9kg). 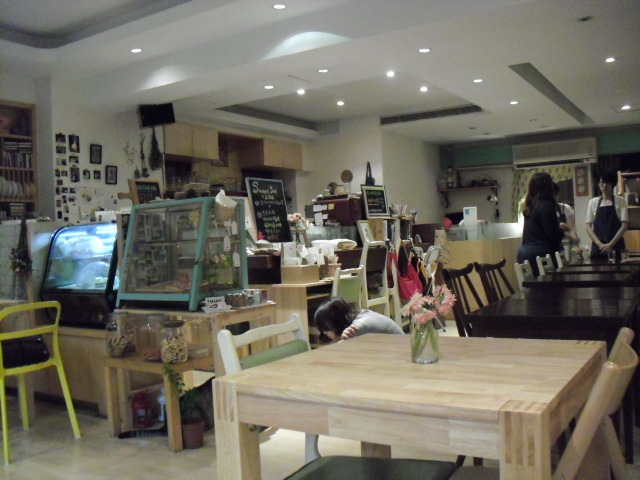 The cafe has a quiet, comfortable atmosphere and reasonable prices. It doesn’t smell like cat at all, and has a delicious aroma of fresh-baked cookies. They have free wi-fi, but they charge NT$20 for electricity if you need to plug your computer in.